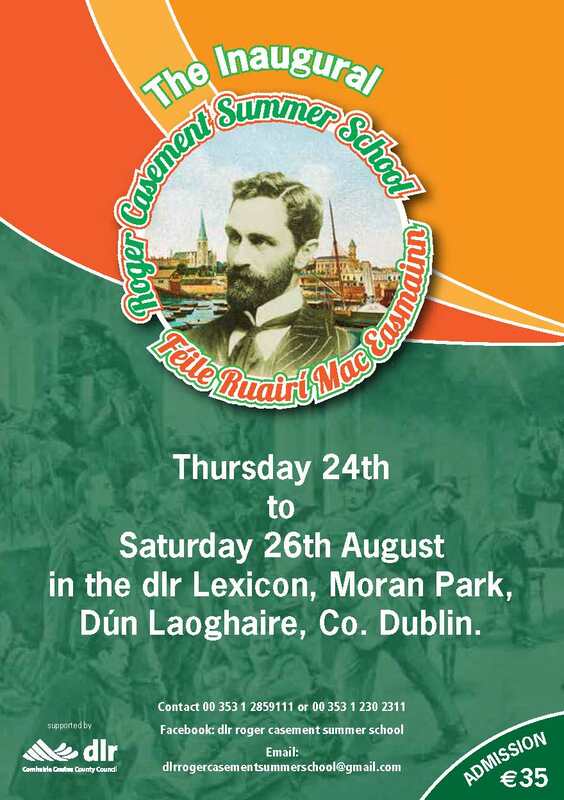 Below is the schedule for the 2017 dlr Roger Casement Summer School. Admission is €35. Tickets are limited and can be purchased in advanced to guarantee your admission. To purchase in advance please contact Roger Cole at 00 3531 (0) 2351512 or 087-2611597.